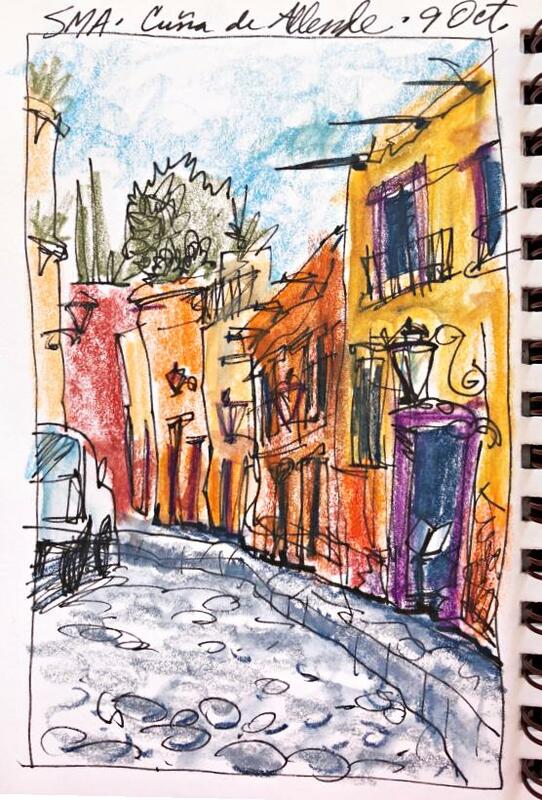 Fast & Loose sketching allows you to capture the essence of a subject without getting caught up in minor details. You will be able to create impressions of your travels that are more meaningful than photographs. With practice, you’ll gain confidence in your drawing skill, letting go of attitudes and habits that hold you back. Each session includes demonstrations and individual coaching. 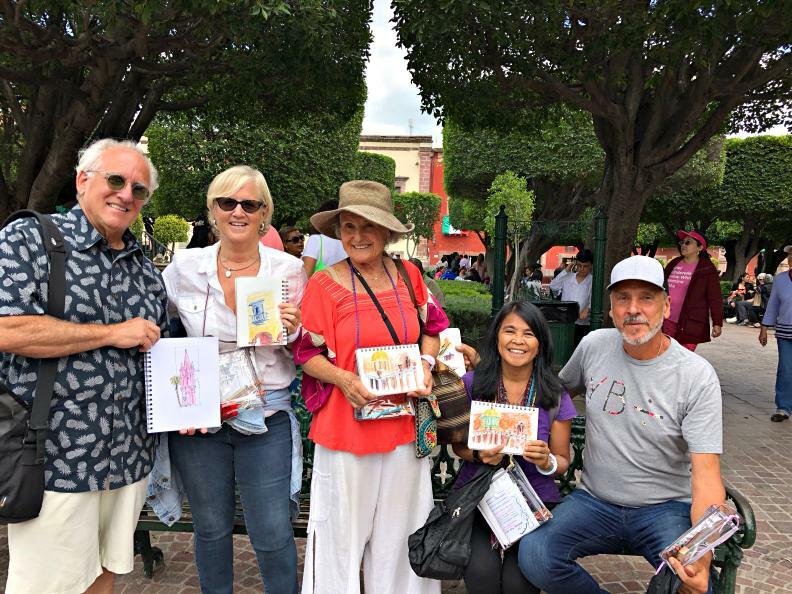 We meet at 10:30 am at the designated location, and sketch until 1:00 pm, finishing up with a display of sketch books and a gentle critique. *All classes include demonstrations and individual coaching. 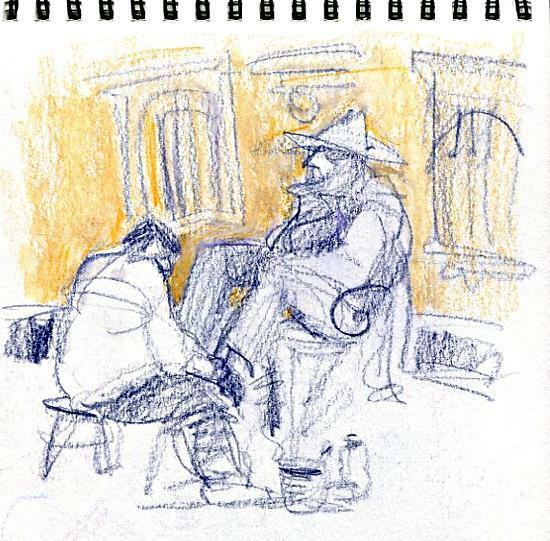 Rhoda is an excellent teacher and gets you sketching from the get-go. I had a great time doing her classes and it has ignited a love of drawing which I thought I never had time to do. Her techniques of “fast and loose” are great, simple, fun and rewarding. 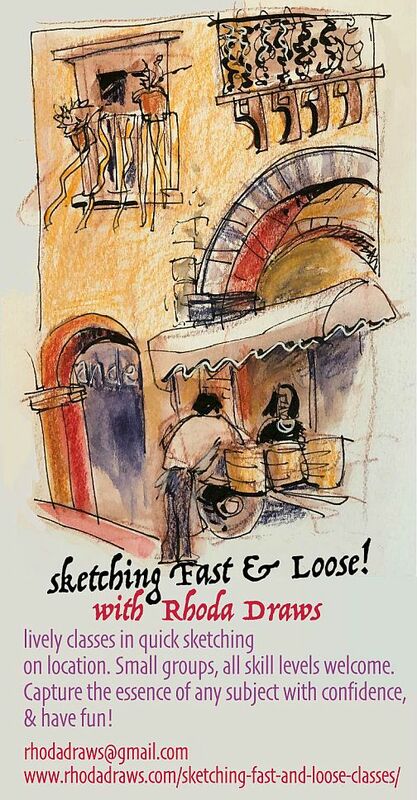 As an avid sketcher for the past few years, taking Rhoda’s workshop was a real game-changer for me — he totally helped me to get out of my head and stop worrying so much about my lines. 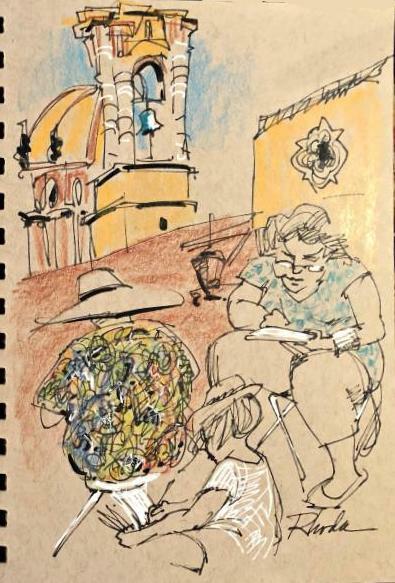 I recommend her workshop if you want to shake things up and have a good time sketching on the streets of San Miguel. Rhoda’s kinda funny too, but don’t tell her I said that. Take this workshop if you want to learn how to sketch and have fun while doing it! 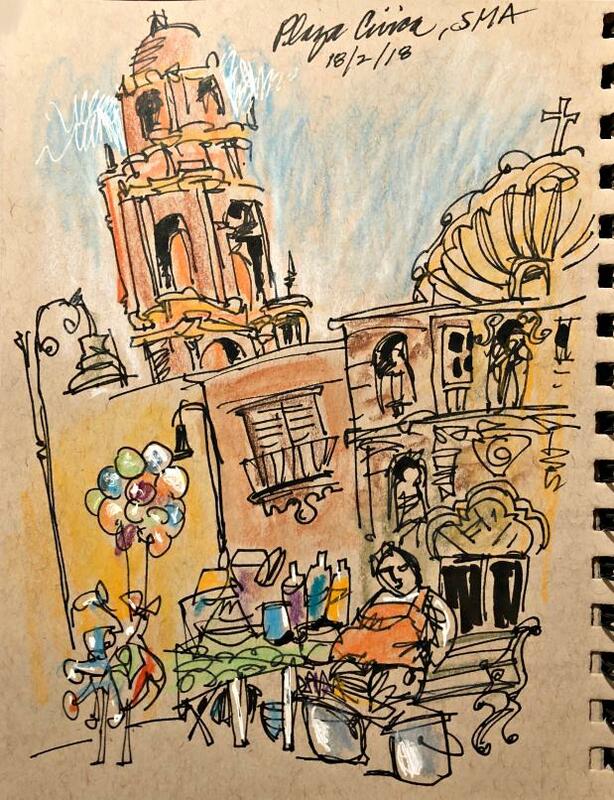 You can practice your sketching each week with the Urban Sketchers of SMA, it’s a super cool hobby to have.